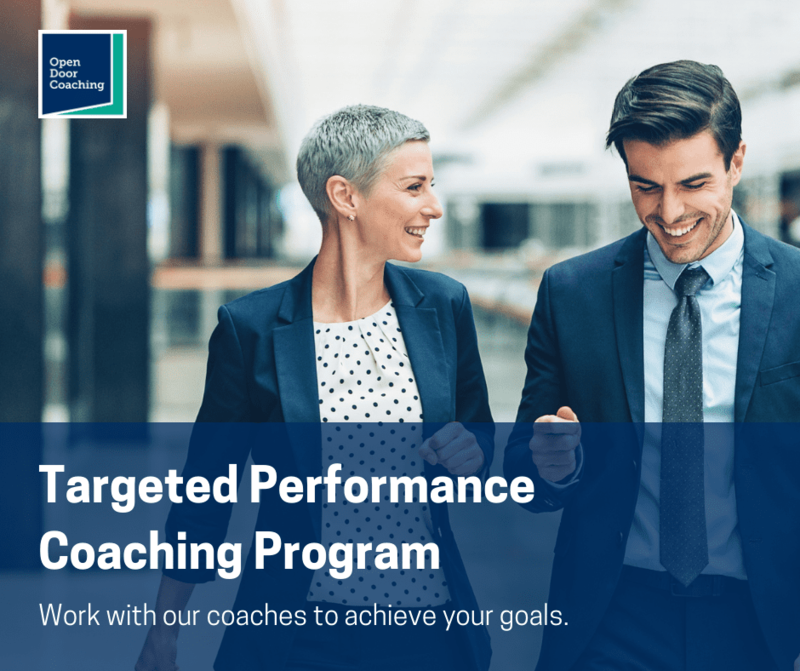 If you are a manager, emerging leader, team leader or have something blocking your performance in your role, the Targeted Performance Coaching Program is designed to help you achieve specific outcomes through individual coaching and mentoring. At Open Door we’ve been working with clients on specific areas of their leadership performance and capability, for example: managing change; managing difficult relationships in the workplace; increasing personal effectiveness and meeting effectiveness; preparing for a big meeting or presentation; and giving feedback. We wanted to extend that opportunity to you, using a highly targeted approach, where you focus on one specific area of your leadership capability and achieve specific outcomes in that area. We’ll pair you up with one of Open Door’s senior coaches, who will work with you over an eight week period to help you take action to achieve a significant difference in your chosen area of leadership capability. 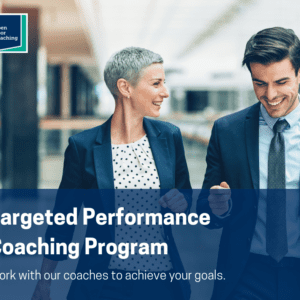 Why is the Targeted Performance Coaching Program so important? The program is designed to have you focus on your top performance priority – the one that will make the most difference to you and your work. We know that a significant inroads in one area of your development can have a positive impact across other areas, and we know that working with a coach will give you the motivation and skills that you need to make a difference. This is a unique opportunity to take the steps necessary to achieve your goal. Just finished your Coaching Qualification and struggling to implement what you’ve learnt? It’s common for people to struggle with implementing the whole toolkit, so let us be a sounding-board and do some fast–track mentoring to achieve your goals in this area. 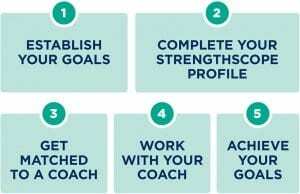 Along with targeted one-on-one coaching sessions you will receive a Strengthscope Profile to better understand your strengths in the workplace and how to leverage those strengths into the performance area and also take a look at what happens when you overplay or underplay those strengths. If you know what to do (don’t we all) but are lacking motivation, then the strengths profile will help sort that out too! Your coach will work with you intensely over the eight week period, to help you achieve your goal. Once you’ve joined the program, you’ll then complete a short process to identify what you want to focus on and establish your goals for the program. You’ll also receive an invitation to complete a Strengthscope profile. Once we have this information we can pair you up with a coach and in your first coaching session, your coach will go through the development area with you, and you’ll get straight to work on achieving the outcomes that you are looking for. Your coach will work with you on the phone or via skype for your coaching sessions. Face to face sessions may be available – please ask your coach once you’ve joined the program. You’ll also get access to the private Facebook group for all participants where you can share ideas, seek advice and support each other in achieving your development outcomes. The investment for this program is $1,990 + GST. Bonus Offer: Join before November 30, 2018, and receive an extra coaching session for free. Take the first step today and give us a call on 1300 006 324, or sign up now below.